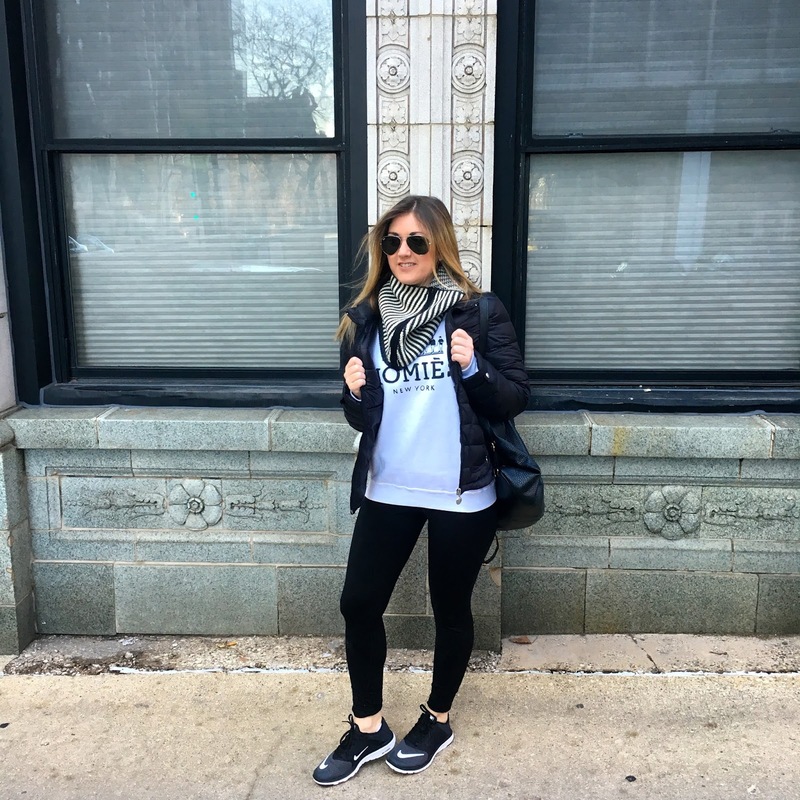 This past weekend in Chicago was a cold one, and I mean really cold. Thankfully I have a winter coat for every degree drop that happens and this Calvin Klein packable down coat can go anywhere with me easily. 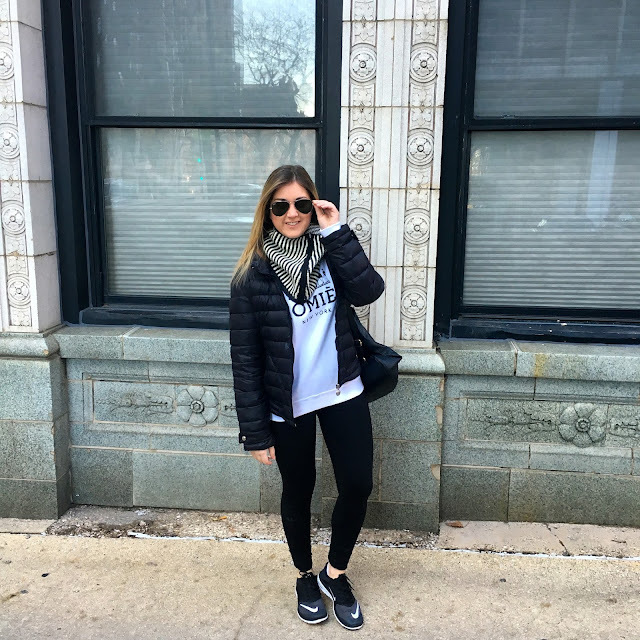 I love dressing in sportswear even when I'm not headed to the head. 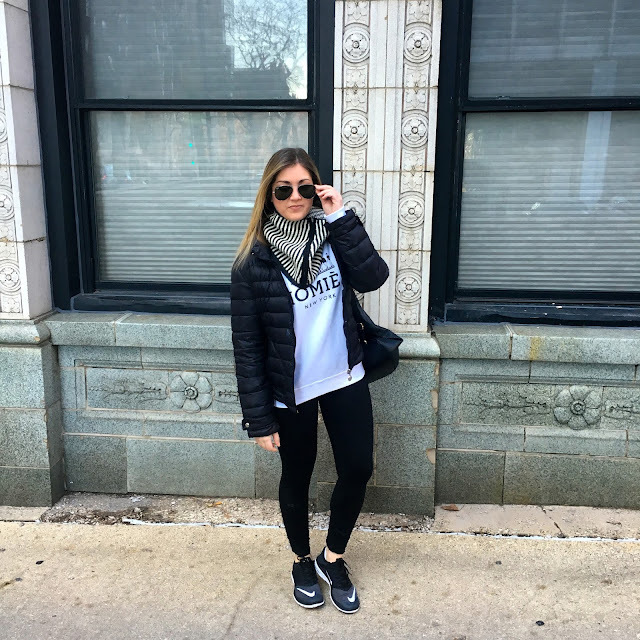 Sweatshirts and sneakers may seem like the most unfashionable pair, however I love finding a great graphic print and Nike sneakers are almost being worn just as much as heels these days. 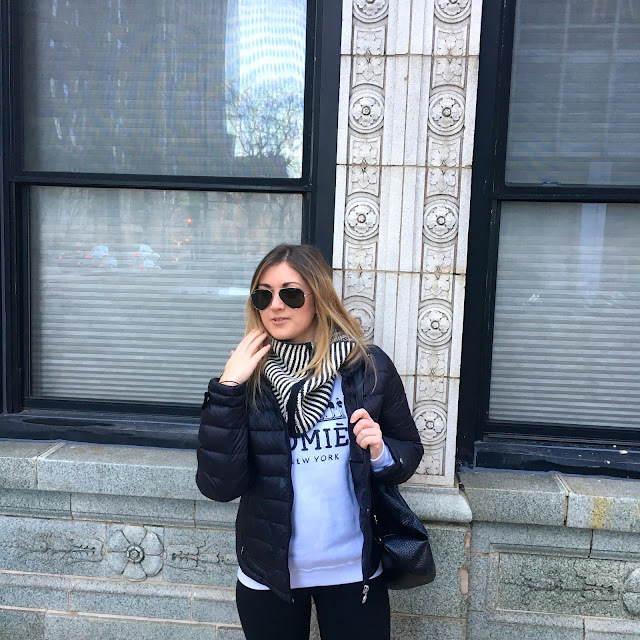 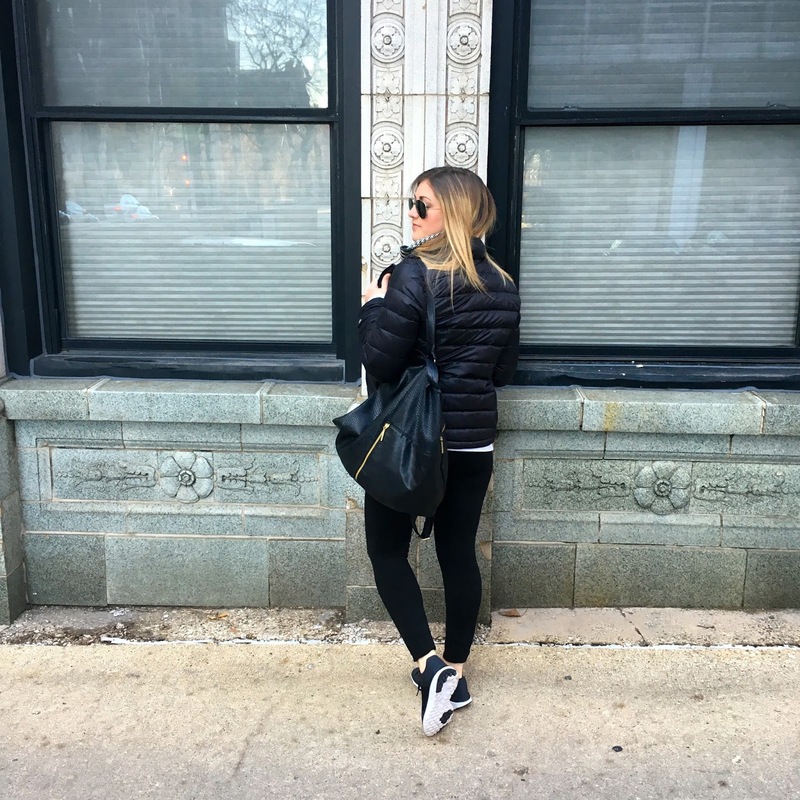 Neutrals are best for a day running errands and this Athleta zip snood kept me seriously warm and cozy while walking around outside. 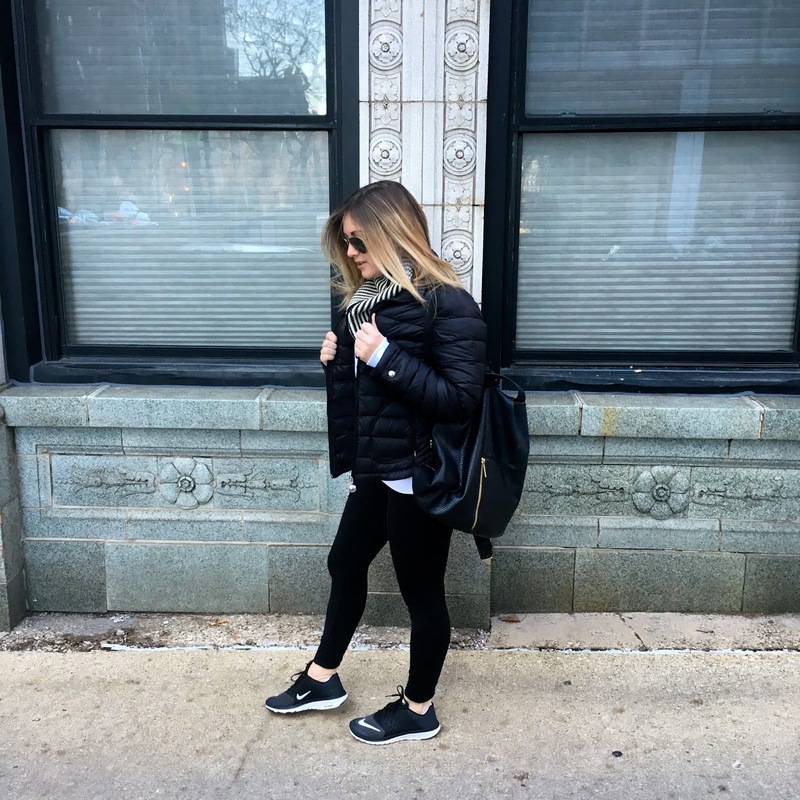 Not only do I love it for walking around on Saturday mornings but it's also great running accessory for cold months. The reversibility of it is a plus!